The One Direction star's parent, Anne Cox, is set to marry her long-term partner, Robin Twist, and he has chosen the heartthrob as a best man, according to the Daily Mirror newspaper. The other members of One Direction - Niall Horan, Louis Tomlinson, Liam Payne and Zayn Malik - are also expected to be guests. 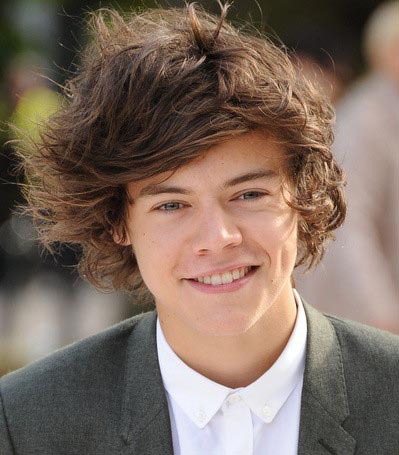 Harry is very close to Robin, who helped raise him after Anne divorced his biological father, Des, and is said to be thrilled at being asked to be one of the best men at the wedding, which will be held at a secret location. Anne has always supported her 19-year-old son's musical ambitions, from his audition for reality show 'The X Factor' in 2010 - where he met the other members of One Direction - to his becoming one of the biggest pop stars on the planet. Anne also knows all the intimate details of ladies man Harry's love life. He has previously said: "I tell her everything, and she knows the truth." It is thought Anne and Robin chose the date to fit around One Direction's hectic touring schedule, which saw them finish their European dates this week, giving them a few days off before flying to Mexico to start the North American leg of their Take Me Home Tour on June 8.